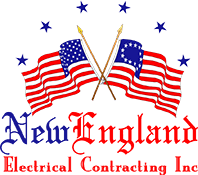 Restoring Power When It Matters - New England Electrical Contracting, Inc. Homeowners and business owners rely on the expertise of electricians in many situations. Installing new equipment and maintaining older systems are key. When electricians prove most essential is during emergency situations. Making repairs and getting the power up and running in these scenarios makes a huge impact on business operations, safety and, potentially, life-saving measures. If you encounter any of the following situations, contact your emergency electrician in Trumbull, CT right away. Is one of your outlets smoking? If there are no signs of fire at your circuit breaker, turn it off. Stop using the outlet immediately. Call the fire department to ensure there is no spread of fire. Then, contact an emergency electrician in Trumbull, CT. They will help you resolve the issue and create a safe outlet to use in the future. Do not attempt to reuse the outlet before professional repairs are complete. Is your wiring wet? If a leak or a flood has soaked your wiring, or loose wires have fallen into a pool of water, do not attempt repairs on your own. Electrocution is a distinct possibility. Contact an emergency electrician in Trumbull, CT to handle the issue. This professional is properly trained and equipped for these situations. Is your power out? Check the neighborhood. If you’re the only one without power, don’t hesitate to contact an emergency electrician in Trumbull, CT. Going without power in extreme temperatures can be dangerous. You also risk food spoilage. You may also suffer from accident and injury due to movement in the dark. Don’t stumble around in the shadows. Contact an emergency electrician. Is a device overheating? A malfunctioning outlet can cause items to overheat. They may even catch on fire. When this overheating occurs, your wiring needs immediate attention. Stop using the outlet and contact an emergency electrician to examine the issue. Is your family or staff complaining about odors? If you detect a smell of burning, such as burnt plastic, your wiring needs repairs. The scent is an indication that wires are damaged, which can cause an electrical fire. Turn off the power and contact your local emergency electrician in Trumbull, CT.
Is your power outage life-threatening? Outages at hospitals, nursing homes or other health-care facilities can prove lethal to some patients. Perhaps you are at home, but you rely on electronic medical equipment for yourself or a loved one there. An emergency electrician in Trumbull, CT can help you restore power to protect lives. It’s likely you’ll encounter at least one of these scenarios at some point. Fortunately, your emergency electrician in Trumbull, CT is ready to assist you when you do. If you need fast, efficient service to get your power up and running safely again, contact the professionals at New England Electrical Contracting, Inc. Our in-depth knowledge and extensive experience are the perfect solution to your power emergencies. Contact us today to ensure safer surroundings in the future.